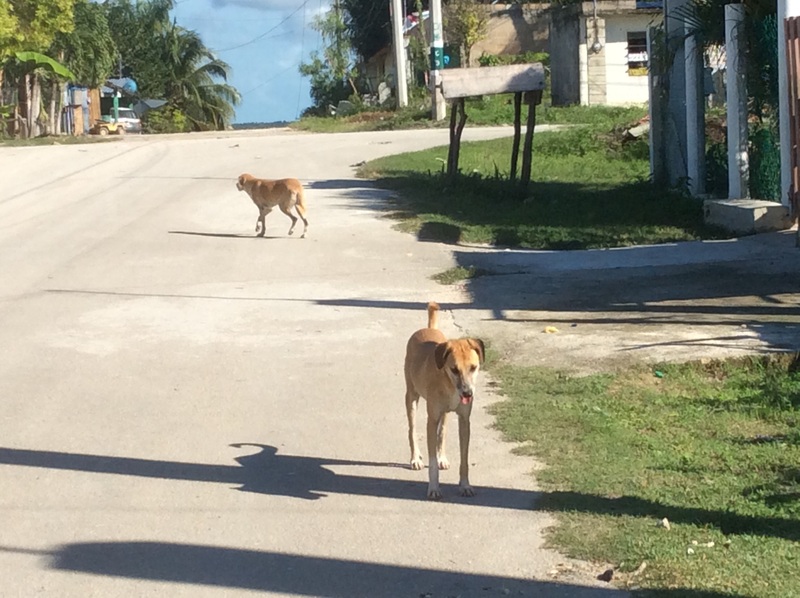 The dogs of Bacalar have been on my list of blog topics for awhile. They lounge in the streets barely aware of speeding taxis and zipping motos. When walking or riding our bikes, it is useful to carry a stick or pocket of stones. Bacalareños and expats alike either own dogs, are afraid of them or both, for good reason. In the defense of the perros is our friend Rojo. He takes collections of dog food, arranges sterilization clinics and maintains the bellies of a small herd of street dogs. With the support of many gringos he has taken the fight to the município and raised awareness. His facebook page, Perros Olvidados de Bacalar, the forgotten dogs of Bacalar, was created to provide a central message board. While riding this week I was bum rushed by two dogs that hang out blocks from our house. I got scared, hit the brakes and went down. I got up bruised but determined to do something about this particular duo as I have seen them in action before. They certainly think they live here and someone is feeding them. I canvassed the neighborhood but was told that the dogs have no owner. No one wants to take responsibility for this pair, for good reason. A friend paid $11,000 pesos this week, about $750us when a passing man called the police threatening to sue, claiming our friend’s weimaraner Lucy had bitten him (names have been changed to protect the presumed innocent). As anywhere, the case for settling “out of court” was made and a deal was struck. The take away came from the old man who came by on his tricycle while I was knocking on doors. I see him frequently in the hood and noticed that the corner dogs mostly ignore him. My curiosity was peaked and I struck up a conversation. I told him that the dogs had attacked me and I was looking for their owner. He casually glanced at my leg looking for evidence of the crime. Finding none, he proceeded to gesture about the mythical dogs who live “over there” and attack and kill people. Seemingly there are always people, “over there” who have it worse, like the starving children in Africa, invoked by my parents to pressure me to eat my peas and carrots. The lesson and our new mantra is, if you’re not dead, you have nothing to complain about. Try it this week; it sort of has a nice ring to it don’t you think? I have the same problems in Bahia de Kino, though most of the dogs don’t much care to chase or bother, thankfully. But there are so many street dogs. It’s awful. I do contribute to a spay and neuter clinic, but they simply can’t do all the dogs. Some of that dog attitude has spilled across the border to where I live (two blocks from Mexico – an easy spillover). I no longer walk my dog because of the roaming street dogs here. People “own” them but they don’t confine them nor take much responsibility for them. A few that roam around seem fairly viscous, and I don’t want to take chances. Seems that any time spent in Mexico generates a story or two about the dogs. 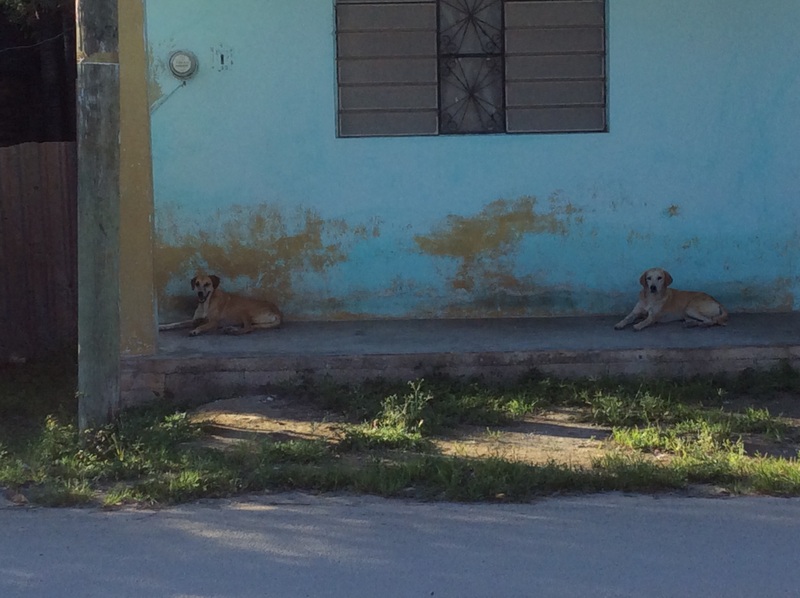 Are there roof top dogs in Bacalar? I know, Mexican dogs are a running theme. I remember packs roaming the streets in the 70s where I lived. It is better. There is always the case for bigger problems than dogs but I refuse to give up. Thanks L. The man is amazing and spread very thin. He does know people and is the point of contact for the problem. Very helpful. 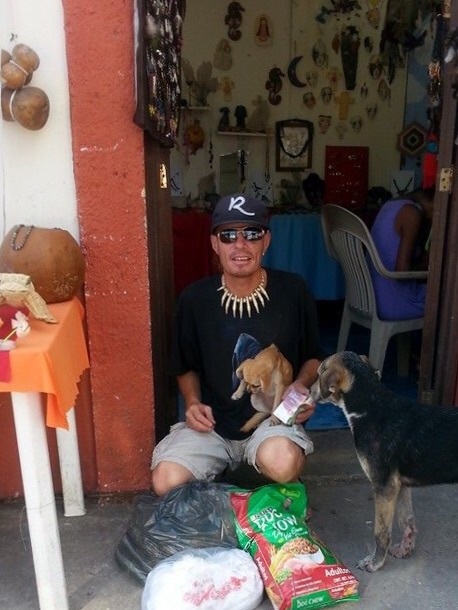 Interesting post, as usual, Alex and it makes me appreciate the dog behavior in Old Town, Puerto Vallarta as there are virtually no strays and owners are, for the most part, pretty responsible. Yes Bruce we are a backward little town. The city is beginning g to see this as a health and quality of life problem. My hope is that as people bring it to their attention, they will see that it will drive away tourists. Follow the money. Your meme joins up nicely to our mantra for living in Mexico. “Everything is ok (good) in Mexico.” So it all takes time here because it is all good. 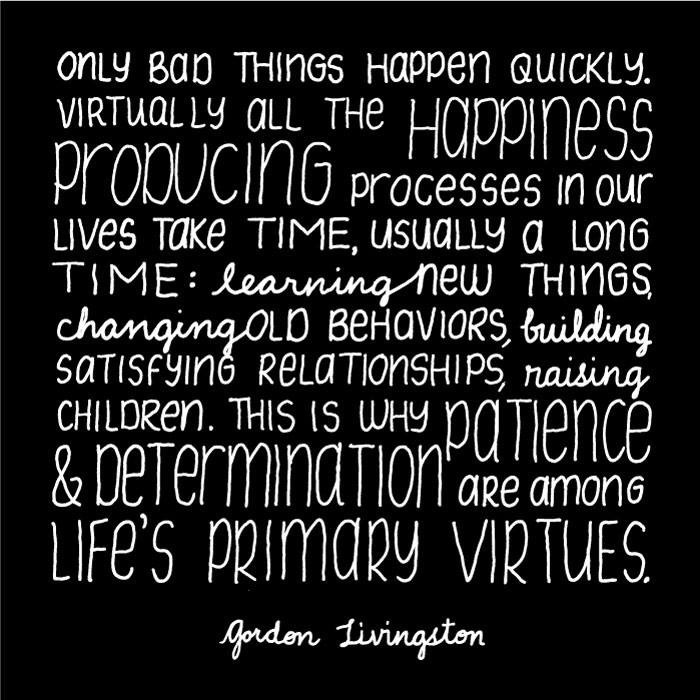 Thanks Karen, life is one big attitude adjustment. Hola Dos Tortas – I am a fan of your blog (and visited Bacalar for the first time in October). Do you know if there is a way for me to donate to Perros Olvidados de Bacalar from the U.S.? How wonderful! I will make inquiries and let you know.